It is important to look at your overall health and what you may be missing and sulfur is something that people do not think about. 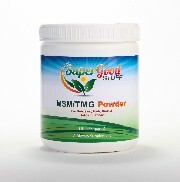 Check out the following product feature for more information about why ​MSM/TMG Powder is important to overall good health. If you suffer from any of the other common symptoms listed below, you may not be getting enough sulfur in your diet, and it’s affecting your overall health.